Some collectible luxury timepieces already command pretty hefty prices. However, when it comes to certain collectible timepieces, they can command mind-boggling amounts. In this article we go over some of the world’s most expensive timepieces ever sold. 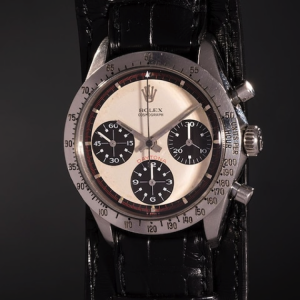 This watch belonged to Paul Newman and sold for a mind-boggling $17.7 million at Phillips in New York on October 26th, 2017. 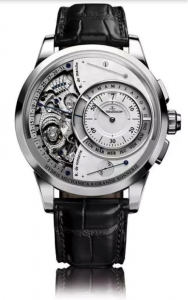 Thus, setting the record for the most expensive wristwatch ever sold. The Rolex Cosmograph Daytona is described as the most iconic wristwatch of the 20thcentury, the caseback is inscribed with the words “DRIVE SAFELY ME”, a message from Newman’s wife Joanne Woodward. 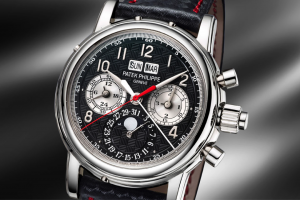 The timepiece surpasses the previous record-holder, the Patek Philippe ref. 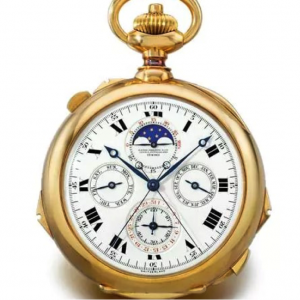 1515 Perpetual Calendar Chronograph which sold for $11.1 million dollars. 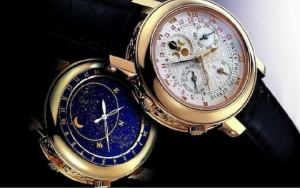 Coming close, but no cigar, it did not beat the world record for the most expensive timepiece ever sold, which is still held by the Patek Philippe Henry Graves Supercomplication which netted $24 million dollars in 2014. 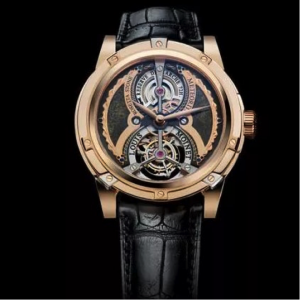 This is the most expensive timepiece ever sold. The Patek Philippe Henry Graves Supercomplication hit headlines in 2014 when it sold for a boggling $24 million dollars. It was made by special commission from the American banker and industrialist Henry Graves Jr, and until 1989 was the most complex watch ever created; the Calibre 89 then outdid this. Another Patek Philippe that makes it on our list is the Patek Philippe Sky Mon Tourbillon. It is the most complicated wrist watch that Patek Philippe has ever producted. 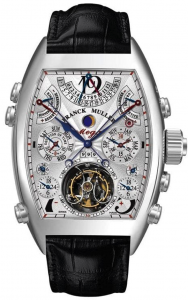 The caseback shows the night sky with a selection of moon phases and it sells for around $1.5 million dollars. This highly intricately designed timepiece features 99 jewels, a 1000-year calendar, 1483 separate components and 36 separate complications, making it the world’s most complicated timepiece ever produced. It fetches an impressive 2.15 million dollars at retail. The Louis Moinet Meteoris is actually a collection of four different timepieces that are sold as a set. Each timepiece depicts the solar system as well as featuring a small fragment from it; a piece of meteorite. The particular timepiece in the photo, the Tourbillon Rosetta Stone, features a piece from the Sahara 99555, which is believed to have fallen to Earth from Mercury and is estimated to be over 4.6 billion years old. It fetches a very commanding price of 3.6 million dollars currently. Complication is the key in the world of haute horology, and this immaculate timepiece does not disappoint with a mind-staggering 1472 individual parts. The Hybris Mechanica a Grande Sonnerie by Jaeger LeCoultre comes with a perpetual calendar and gorgeous chiming functions, as well as a specially appointed 2,600-pound Doettling safe. 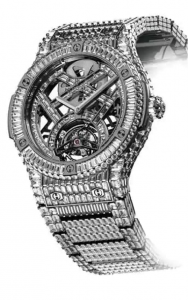 This timepiece will cost you around 1.9 million dollars. As the name implies, the Hublot Classic Fusion Joaillerie $1 Million will set you back $1 million. However, the timepiece does justify this price point by the way with the inclusion of 1,185 diamonds that make up its dial and crown. Each one of these timepieces takes a grueling four months to create, with a team of 25 master watchmakers working on each one. A very, very limited timepiece of which only eight are created per year. The Patek Philippe 5004AT reached a new record at auction in Monaco in 2013. This specific model sold for a mind-whopping $2.8 million dollars. It has since been discontinued. The 5004AT comes in a titanium case, which is a rarity for this specific house. And with Patek Philippe collectives, it also offers a rare glimpse into a sports aesthetic from the otherwise famously classic brand. Matheu’s Fine Watches & Jewelry has been providing quality products and professional services to the metropolitan Denver, CO area since 1951. The very first watch repair and service facility ever opened in Colorado. Dan Matheu, watchmaker, pioneered watch repair and services in Colorado. Today, Scott Matheu is at the helm steering Matheu’s Fine Watches & Jewelry. 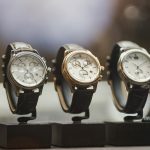 With his vision, Scott opened a watch store in Highlands Ranch and has made Matheu’s Fine Watches & Jewelry not only one of the largest watch stores to provide watch repair in Englewood, CO but also the entire state. 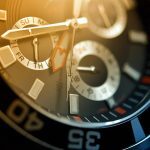 Whether you need watch repair in Englewood, CO, watch engraving, or even if you have an antique watch that you would like appraised, you can count on Matheu’s Fine Watches & Jewelry to provide you with superior service each and every single time. All of our watchmakers are factory trained and we have CW21 Certified by the American Watchmakers and Clockmakers Institute (AWCI) on site. This certification has the most stringent standards for watchmakers performing repair, restoration, and service work on watches. With one of the largest service centers in the metropolitan Denver, CO we are not only able to provide watch repair in Englewood, CO but to the entire 50 states as well.